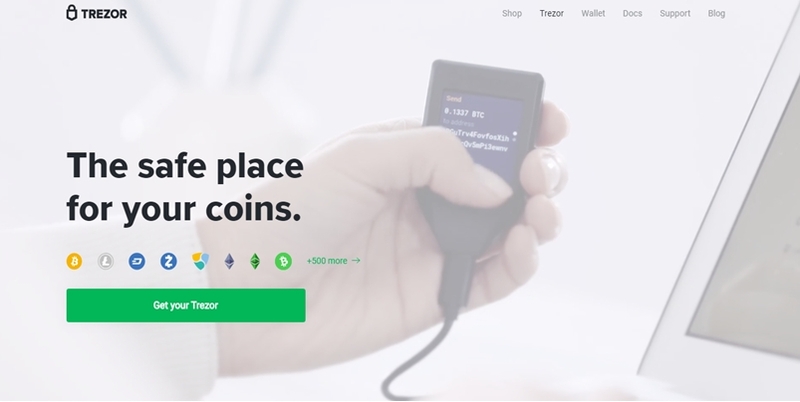 Trezor is a hardware wallet dedicated for Bitcoins. It was designed by SatoshiLabs and launched in August 2014. the main purpose is to secure currencies at the highest level. Basically, Trezor is a small device that allows you to keep Bitcoin’s private key safe as well as its sign transactions. It’s like a USB, so you can connect it to your computer. The compatible operating systems are Mac, Linux, and Windows. 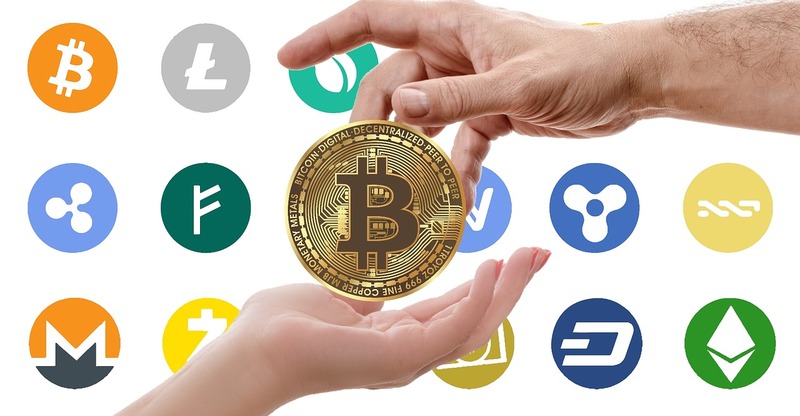 The initial project was designed to support exchanges like Bitstamp, assuming that users could deposit and withdraw funds directly using the trading platform. The device protects your account from money flowing or different attacks. 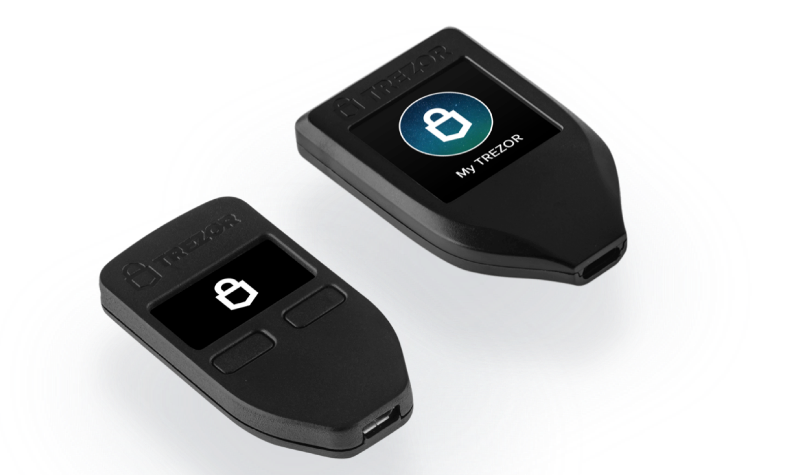 Trezor provides two-factor authentication, password manager, and password code login. The second one lets you use services like WordPress, Dropbox or Google. You can buy the device from Trezor Shop or Amazon.com. The price is 89€ for one hardware and 245€ for three devices. You have the option to pay with Bitcoins, using the official website and with a credit card using Amazon. On delivery, you’ll get the device, an installation manual, a USB and a small lanyard. The device is sold in three colors: white, black and grey, and is produced from plastic. The Trezor hardware has a 128×64 pixel screen display, two frontal buttons, and a UBS port. The device doesn’t have a battery. The only way to keep it charged is by connecting it to a computer. The enterprise assures us that the wallet is waterproof. Some users argue about Trezor having a poor quality, especially around its buttons. The device is very simple to install. Any beginner can manage the process. It will take you around 10-15 minutes to finish the process. Therefore, you can set up your hardware using three options: the Chrome extension, through myTrezor.com or with the help of the command line. The first one is basically an application you must install in your browser. The second one is an official web wallet, meaning that all the operations are taking place online. The hardware wallets are considered the most secured. It’s almost impossible for someone to steal your money – maybe only if somebody knows precisely all the passwords and your signature for transactions, which is hard to find out. Trezor keeps your private keys safe. These are generated when you finish to set up the hardware device. All data are kept offline. You will be asked to provide a 6-number PIN for entering the wallet and another one to set up your device. Every time you need to manage transactions, the wallet requests these passwords. To be sure your account can’t be attacked, you can additionally choose to introduce passphrase to your private key. In case your hardware is lost, you can restore the wallet in just 24 hours. Trezor is one of the best hardware options to keep your cryptocurrencies safe.